Get started now … mark your calendar and get out your pen! UPCOMING EVENTS – PLAN TO ATTEND – See our News and Events page. Or go directly to our Day After the Next Big Oil Train Explosion page. Amy Million, Principal Planner, Community Development Department, by email: amillion@ci.benicia.ca.us. Both may also be contacted by delivery to 250 East L Street, Benicia, CA 94510, or by Fax: (707) 747-1637. To direct email to Planning Commissioners, send email to Amy Million, requesting her to forward on to Planning Commissioners. 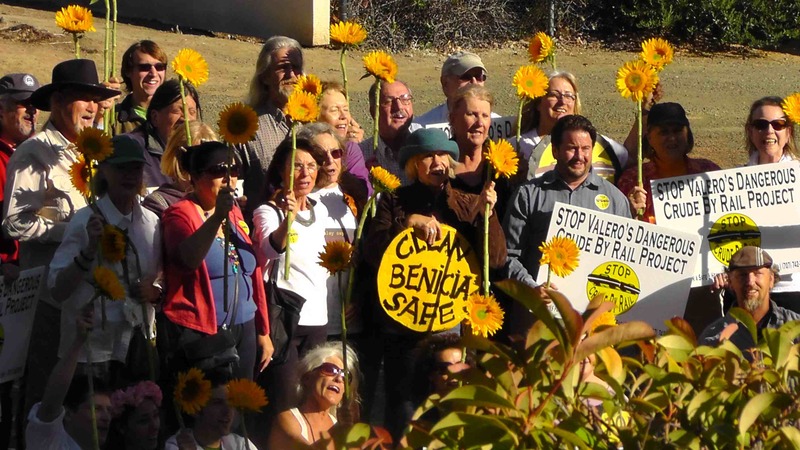 PLEASE HELP US RAISE MONEY to organize concerned citizens of Benicia to oppose this dangerous project that Valero is proposing. We need support with printing flyers, mailers and miscellaneous costs. Your GOFUNDME contribution will make a world of difference to our grassroots organization of Benicia residents. Another way to help: Like our logo? Here’s our STORE (cafepress.com/safebenicia) where you can buy our stuff, and support our cause with a few bucks! Thank you!! Contact Us: BENICIANS FOR A SAFE AND HEALTHY COMMUNITY – P.O. Box 622, Benicia, CA 94510 – (707) 742-3597. PLANNING COMMISSION – Attend Planning Commission meetings and make your thoughts known during “Open Comments” at the beginning of meetings. Regular meetings of the Planning Commission are held on second Thursdays of each month at 7:00 pm in the Council Chambers, 250 East L Street. CITY COUNCIL – See the EVENTS PAGE for current hearing schedule. Regular meetings of the City Council are held on 1st and 3rd Tuesdays of each month at 7:00 p.m. in the Council Chambers, 250 East L Street. BE READY – Stay tuned, learn more, be ready to attend hearings and make your views known.